kc bob: Rethinking "God Allows"
The title of Mark Gregory Karris' post, "Rethinking the Phrase “God Allows” In Response to Evil", caught my attention yesterday. I found his thoughts to be a bit challenging. Here are a few clips from it. The word “allow” is poison to the sensitive, God-seeking, and traumatized soul for two reasons. First, it makes God out to be a voyeuristic monster who arbitrarily jumps into time, willfully intervening in some people’s lives to save them from harm, and willfully choosing not to intervene in others. ... Secondly, the word “allow” assumes God could have done otherwise. Evil events occur precisely because a loving and uncontrolling God is not in control of all things. 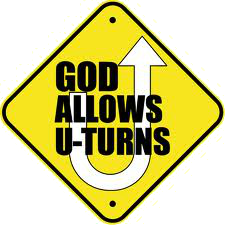 ... Just because God is not in unilateral control does not mean that God is passive. According to the Oxford dictionary, the word control can mean “the power to influence or direct people’s behavior or the course of events.” I suggest that God is controlling, or to use a better phrase, “God is lovingly influencing” us, by inviting, empowering, inspiring, filling, convicting, leading, comforting, healing, and challenging us toward ever increasing experiences of shalom. If you are interested, I suggest that you read Mark's article in full here. You may also enjoy the comments there as well.